The annual NHLPA Golf Classic is set to get underway in less than one week's time as the tournament will celebrate its 25th anniversary at Glen Abbey Golf Club. More than 30 current NHL players are scheduled to take part in this year's event, which will be held July 12 at the beautiful course in Oakville, Ont. Among the attendees are: Andreas Athanasiou, Kevin Bieksa, Joe Blandisi, Connor Brown, Cal Clutterbuck, Cory Conacher, Logan Couture, Lawson Crouse, Louis Domingue, Marcus Foligno, Nick Foligno, Cameron Gaunce, Brian Gionta, Stephen Gionta, Barclay Goodrow, Micheal Haley, Dougie Hamilton, Adam Henrique, Jonathan Huberdeau, Boone Jenner, Josh Jooris, Zack Kassian, Josh Leivo, Derek MacKenzie, Jonathan Marchessault, Greg McKegg, Ryan Murphy, Darnell Nurse, Tanner Pearson, Devin Shore, Ryan Strome, Chris Tierney and Tyler Toffoli. Many former NHL players will also be in attendance, including Mike Gartner, Adam Graves, Steve Larmer. Mike Peca, Scott Walker and Shawn Thornton. Also on hand Wednesday will be the Hockey Hall of Fame forward known for his skill, tenacity, leadership, and his role in establishing the original National Hockey League Players’ Association – Ted Lindsay. 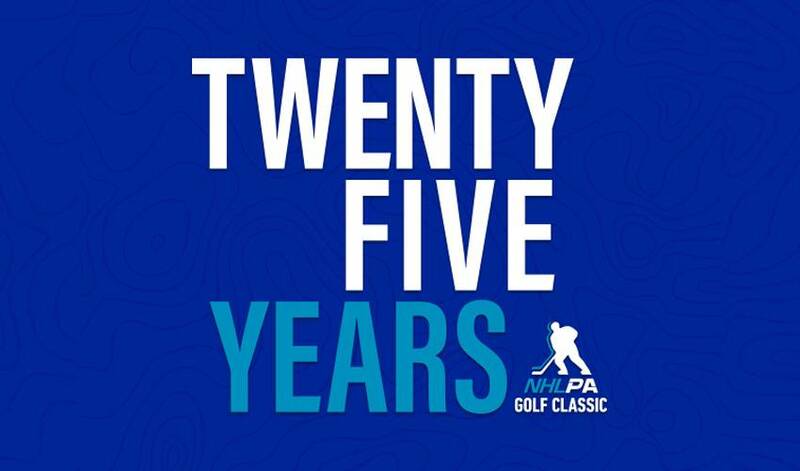 Over the course of the last two-and-a-half decades, the tournament has been hosted at numerous breathtaking courses, and the NHLPA is excited to return to Glen Abbey to celebrate a milestone 25th year. Last year's NHL player winner was Devan Dubnyk, who won a $40,000 charitable donation as part of the $100,000 overall raised from the tournament at Predator Ridge Resort in Vernon B.C. This year, each current member in attendance will be given $2,000 to donate to the charity of their choice, in addition to the top-three win prizes of $25K, $15K, and $10K. The players will compete in teams and as individuals over the course of the day while indulging in a healthy dose of competition for some very special causes. The annual Golf Classic has raised over $3.5 million since its inaugural year in 1993, benefiting the likes of Ronald McDonald House Charities, Habitat for Humanity and World Vision - just to name a few. Be sure to follow us on Twitter, Facebook and Instagram for live coverage from Glen Abbey for photos and videos of the entire day's events and join in on the day's activities by following along with the hashtag #NHLPAGolfClassic.